Beloved and I had dinner at Ramen Nagi for the last two Fridays. This ramen place is apparently the most-reviewed so far this year. We never had the chance to visit it because of work even though a somewhat accessible one opened shop at SM North EDSA. We only had a chance recently because, for some reason, both of our Fridays became a bit more schedule-friendly. But that’s aside the point. 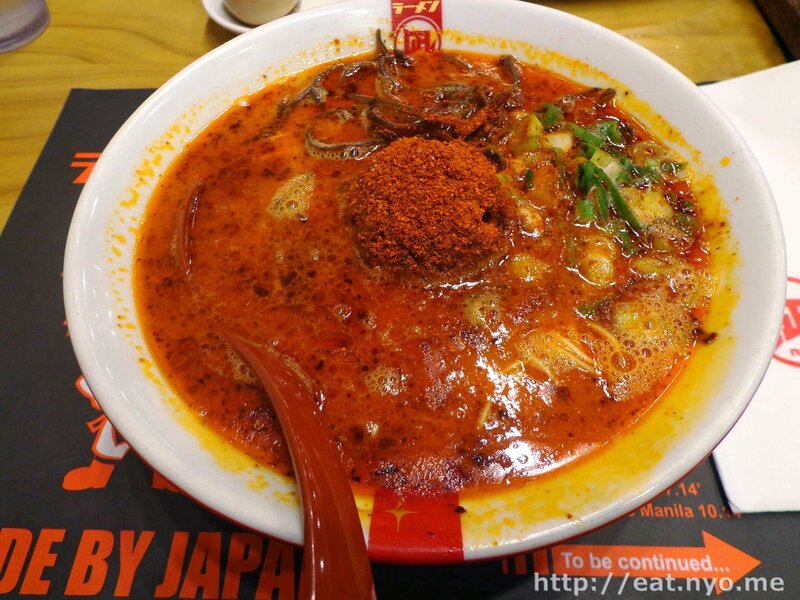 The SM North EDSA branch of this apparently world-famous ramen place is located at the first floor of the City Center, a.k.a. “Main”. Since it’s very well reviewed (although a bit mixed), we were somewhat prepared on their specialties. Apparently, there are four kinds of broth, easily distinguished by their color. 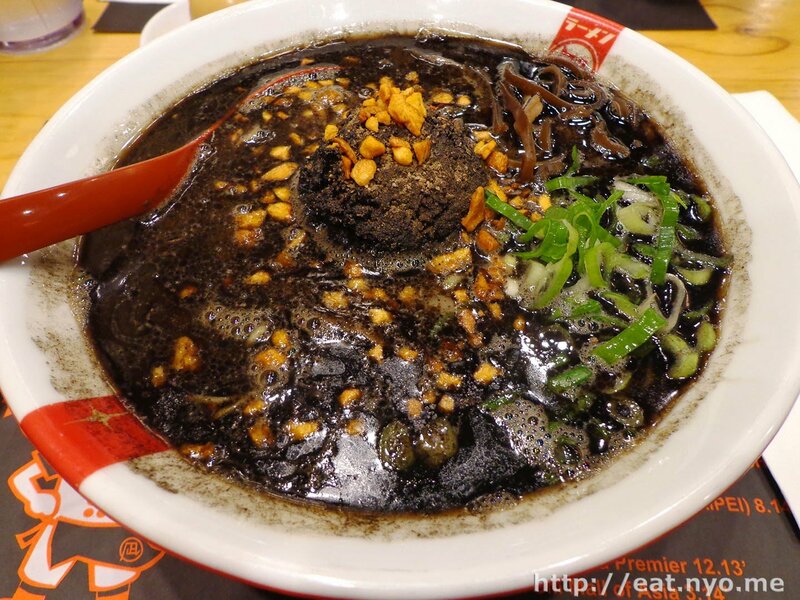 They have brown, red, black, and green-colored broth all named as “kings”. Yes, we were weirded out at first with the latter two. We decided to spend two weeks to try out all the kinds of broth. While there was a slight queue (not as terrible-slash-amazing as Ippudo’s), the turnover was very quick. We discover that, similar to most ramen places, seating was communal. They also have a now familiar ordering process where they have the tickets left blank and you fill in your order. This showed how pricey their ramen were. Anyway ordered the Butao King (390 Php) for me (the brown one). My customizations were normal richness, normal special sauce, and light garlic for soup base; belly for pork, and green onions for vegetables as toppings; just one level of spiciness (you can go up to 10) which, according to the instructions, is the suggested standard; and hard noodles. I also added tamago (50 Php), pork shoulder (100 Php), and extra noodles(70 Php). Beloved ordered the Red King (410 Php), shoulder and green onions as toppings, and 7 levels of spiciness and forgetting the rest of the details. She also added tamago (50 Php) to hers. Above was my order: the Butao King. I honestly don’t know what “Butao” means, but it said in the menu that this was a tonkotsu or pork-based broth. First thing I notice was the strong aroma. There was a large slab of pork belly topped with what I assume was their special sauce over an almost opaque flesh-colored broth. The noodles were pretty thin and there were bamboo shoots aside from the green onions that I chose. How was it? Well, it was definitely not the well balanced Ippudo or savory Ikkoryu Fukuoka. Even though it was only one level of spiciness, it dominated the soup. I wasn’t able to appreciate the best thing of the dish, which was, for me, the noodles, because of this. The pork was also disappointing. It’s no chasyu, or barbecued pork. It was just a slab of boiled pork belly that wasn’t even fully cooked. Beloved’s Red King looks like it was made from the depths of hell. Aside from the obvious redness, the toppings were pretty much similar. It had some corn kernels in addition, however. As for the taste, let’s just say this is the second hottest thing we’ve recorded on this blog next to the dynamite roll from Teriyaki Boy. Beloved liked it. Guess how I fared? The pork shoulder was definitely the better choice, as it had the chasyu care put into it. 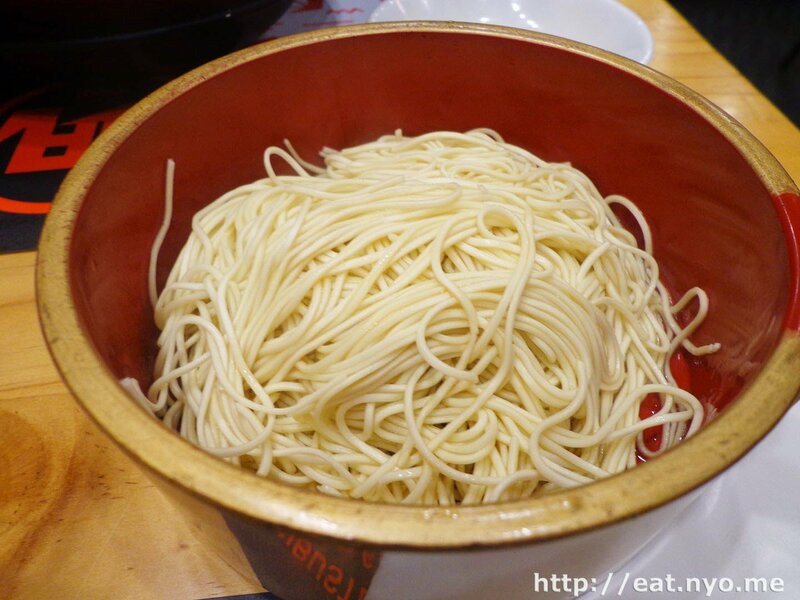 Although I noticed that the bowl was filled with noodles, perhaps the most amount of noodles in a bowl for all the 300+ Php ramen places we’ve been, we didn’t get full. Maybe it’s also because we weren’t able to finish our soups. Anyway, we ordered, in addition, their Gyoza (190 Php). 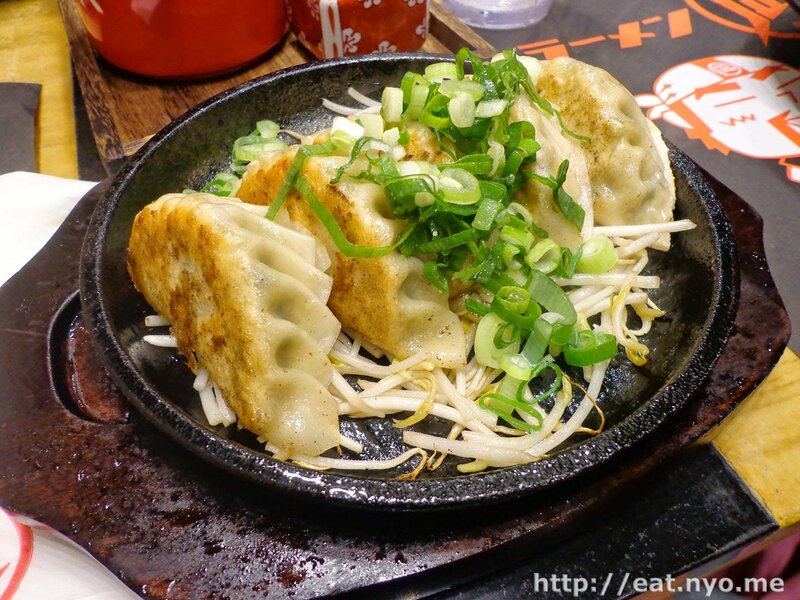 I thought it was funny that their Gyoza were on a sizzling plate. It didn’t burn due to the fact that there were bean sprouts just below them. Clever. Our first bites found a pretty nice expected texture. Our next bites found a weak, forgettable flavor in comparison to their broth. I found the veggies that got charred on the sizzler a much more pleasant experience. We went back the week after just so we can call this place off once and for good, since Beloved was curious about the Black King (410 Php). I thought I would be stuck with the Green King. Luckily, they had a limited offering called the Bonito King (460 Php) which I gladly chose over the basil-and-cheese soup base. This time, I ticked the “let the chef decide” box and Beloved opted milder flavors. 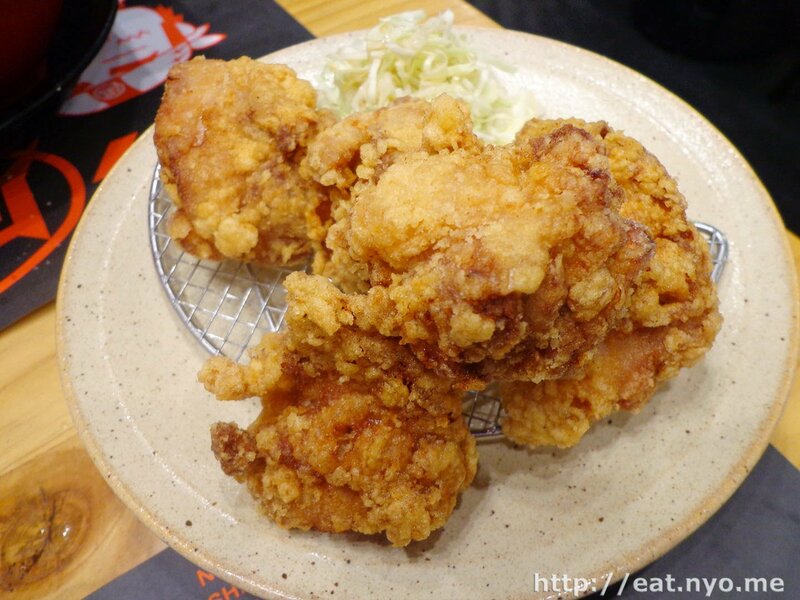 In addition, we ordered their Karaage (200 Php) because we didn’t get full the last time. And you know what happened? The flavors were still very, very strong. Beloved’s Black King was apparently a garlicky concoction. She still ticked some spicy levels to it so after a very garlicky gulp, there was a spicy kick in the end. She commented that it was very heavy, and similar to last week, she wasn’t able to consume all of the soup in its entirety. My Bonito King could easily pass for the Orange King. Since I ticked no spiciness, I can at least taste some savoriness and a strong salty flavor on this one. However, even though it lacks the spice, it was still very heavy and I also wasn’t able to finish the soup. This time, I picked the shoulder part after a lesson learned. I was surprised when they gave me the extra noodles above. There was plenty of them, but I didn’t get any last week. Sad mistake on my cost. Their Karaage wasn’t served over a sizzling plate this time. These chicken bites were quite crisp and hot. However, the only comment I can give this was that it was very greasy. In conclusion, we won’t be returning here. But I guess I already announced that before. We didn’t get full, it was quite pricey, and we just didn’t enjoy it. You might think I’ll give Ramen Nagi a failing grade after all the negative comments. However, I think this is mostly because of how Beloved and I both dislike overly strong flavors, and I am quite critical with the marriage of pork and ramen. The service was actually quite fast, it took less than ten minutes for our orders sans our sides. 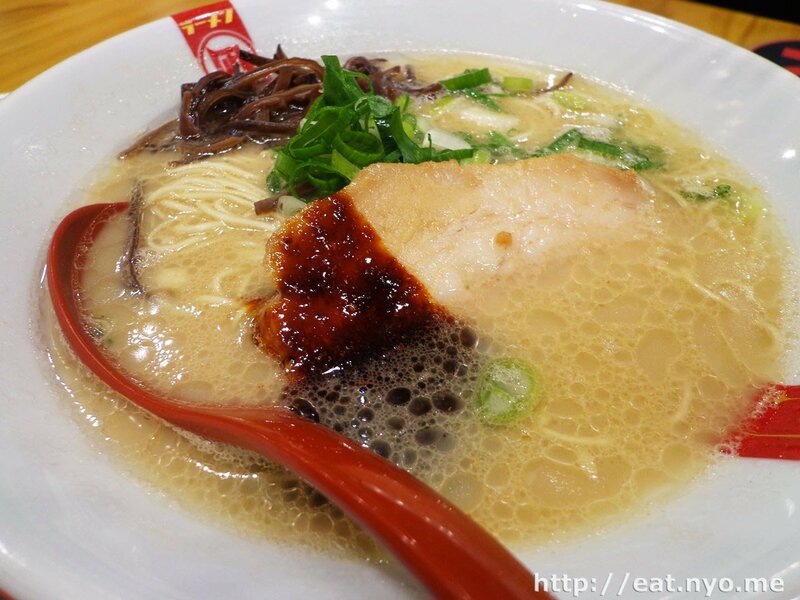 If you love spicy broth or very strong flavors, which I guess is a more general consensus over Beloved’s and my preferences, consider Ramen Nagi a visit. I’m giving it a passing grade because it really wasn’t bad, just seemed inferior to what we experienced before. 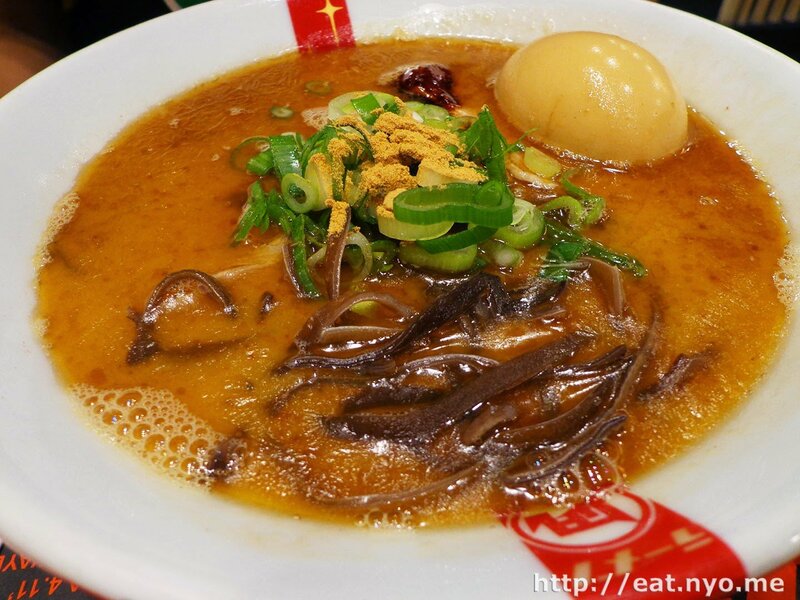 Recommended for: Strong and/or spicy broth lovers. Wait haters. Not recommended for: Strong and/or spicy broth haters. Smart nomnomnom tip: Level 1 spicy is already spicy!! !